DEL-YORK International is a media consultancy company that is involved in creating and managing cost-effective platforms to develop Nigeria’s burgeoning film industry. Their primary focus is on improving the industry’s human capital base. In 2010, they partnered with the world’s leading film school, the New York Film Academy (NYFA), to train over 400 aspiring and professional filmmakers in Abuja. 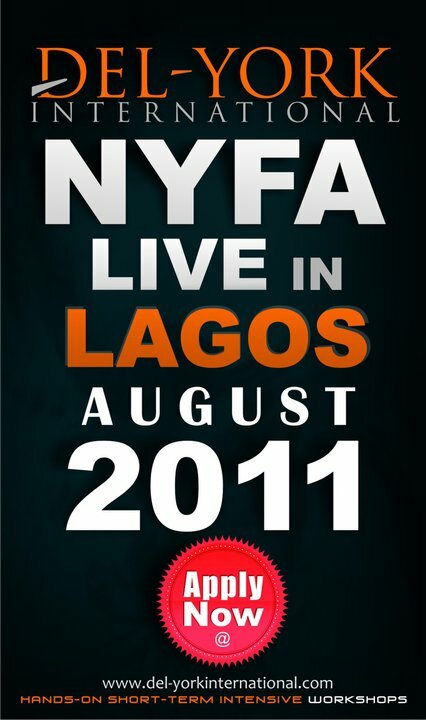 This year, they are bringing the NYFA back to Nigeria for an intensive one-month training program from July to August 2011 in Lagos. This is a once in a lifetime opportunity for both existing and aspiring film makers, directors, producers and movie enthusiasts to sharpen their skills and get top class training in all aspects of film making. Come and acquire world-class know how from the foremost film school in the world.